More often than not I am drawn to the pretty and feminine toning's. Having two girls, my love for all things pretty and girly is often indulged. 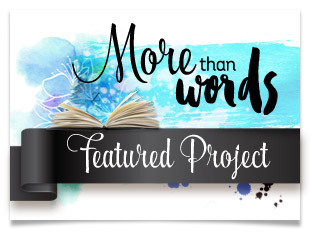 Today though I have gone for something a little more on the rustic side and wanted to share a little of the creative process. Some masked detail with some texture paste was first applied to the background he background. Some misting was added over the top with Lindy's Stamp Gang - Dark Chocolate Truffle, Kissin' Kenickie Coral and Tiffany Lou Blue. 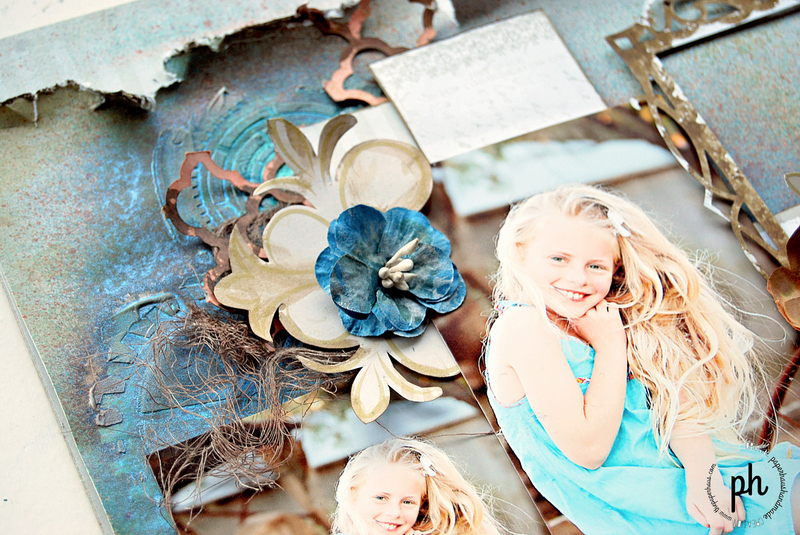 A little distressing of some of the edges adds texture and shabby appeal. I used the edge of a pair of scissors and ran them along the paper edge. The process was repeated a few times. I wasn't overly concerned if the paper tore as this adds to the overall distressed look. A little distress stain was applied to the edges to add depth and definition. If you do not have distress stain, ink will also do the job nicely. Choose flowers and embellishments that coordinate with your color scheme. 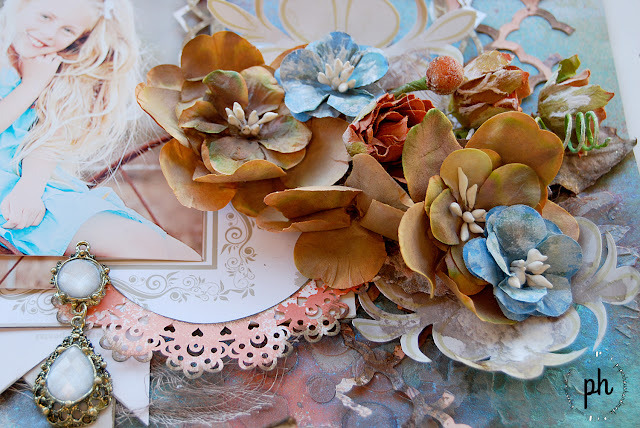 Die Cut embellishment from patterned paper. Add a little rustic appeal with some distress stain as I have done with the decorative frame element. 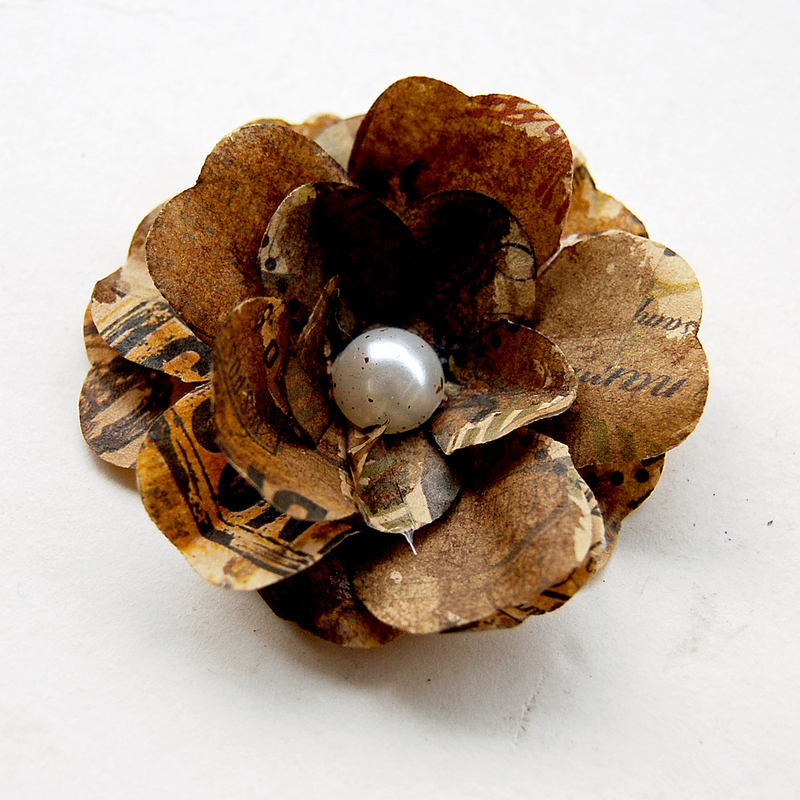 Also consider flowers made from book paper and fabric. To further enhance and make a little more rustic, distress stain was used. Walnut Distress stain was applied to the flowers with a little water and a paint brush. Press the top of the distress stain bottle down onto a plastic lid, acrylic stamp block or a non slip craft mat if you have one. 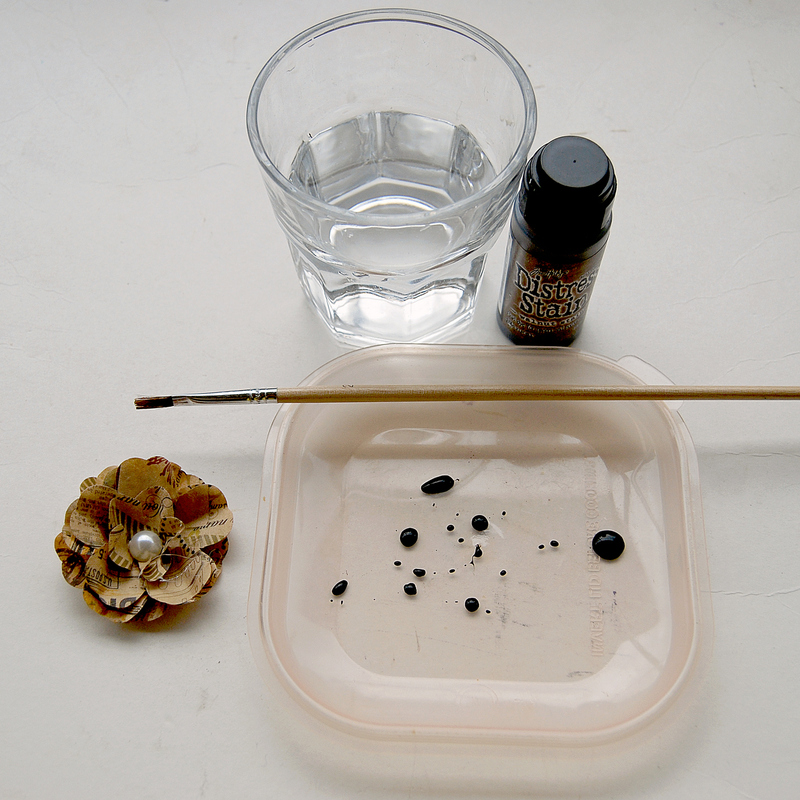 Dip the paint brush bristles into the water, dip into the stain and then apply to the petals. Reapply the process for a darker look. If too much stain is applied, add a little water to dilute, blotting the excess with some paper towel. Remember, if you don't have the right color blooms for your project, white flowers can easily be transformed using this altering process. 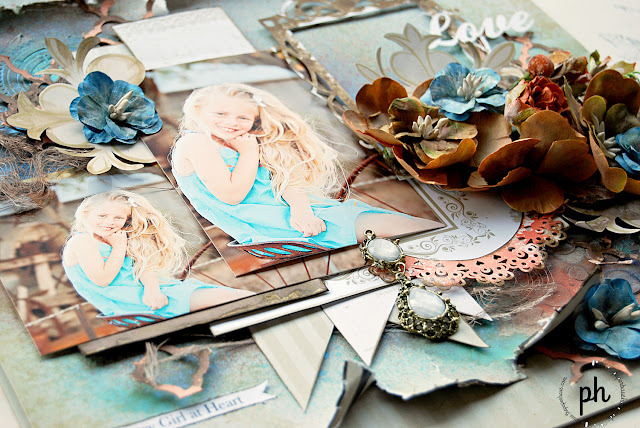 Stunning layout.. love all the layers and flowers..gorgeous photos too..